The beauty of the Internet is that you can make a truckload of money out here. Yes, you really could quit your full time job if you work hard.The bad news is most people either don't want to work at it, or they buy into some scam that causes them to waste money they could have used to invest in a real, legitimate venture. 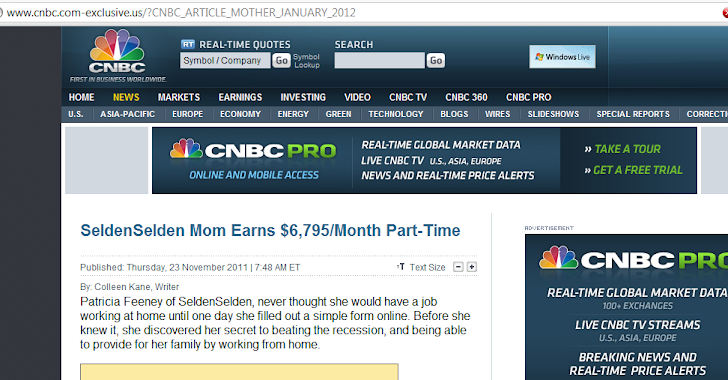 I just Click the link provided in Email body and Here we notice a website with subdomain www.cnbc.com-exclusive.us , which having same mirror look like original CNBC website. In first sight the site seems to be legit because of Domain resemblance. Actually, the top level domain of this fraud site is com-exclusive.us and Admin create another subdomain in it with name cnbc . Now complete URL look similar to CNBC.com. 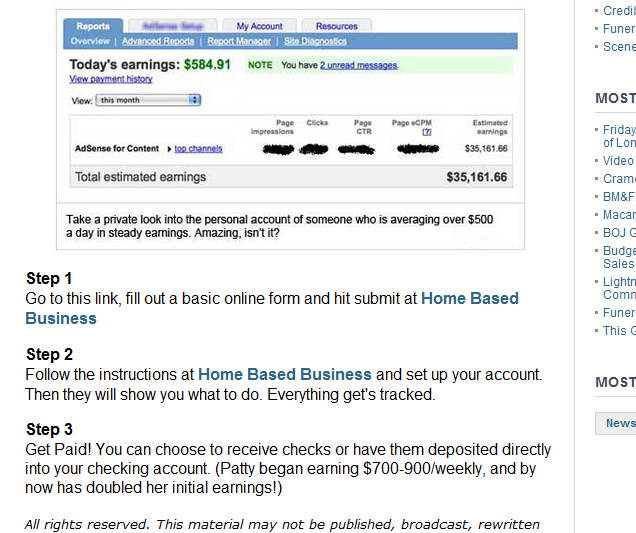 The Fake site , Redirecting users to Another domain http://www.keyinternetjobs.com/ , These sites Promising Users with "Real and Fast Money Making Ideas". Here above we are showing the basic form they are offering users to Fill in order to get money making Idea's. But these Cyber criminals simply use your submitted contact email address and send tremendous amounts of spam offering a part time job, Money or some such bogus titles in future.